Introducing the Internationally Acclaimed Extreme SKILLZ Martial Arts Program! The problem we discovered is they are so focused on what is socially acceptable that they have a hard time keeping themselves emotionally driven to the task at hand. The solution we found is to provide them with their own program that targets their stage of development in a manner that nurtures their social and emotional instability while at the same time building skills that set them up for success. With that said a structured program introducing extreme skill-based training in Martial Arts has proven to be very successful. Physically- they typically have great technique and agility, but they can be lazy which leads to sloppiness. We expect them to initially be sloppy on things that are easy physically. The goal for our program is to get them to understand their potential if they pay attention the intricate details. We normally bypass the basics elements of physical development and jump right into the complicated details. Intellectually- they are extremely smart. Their critical thinking skills are top-notch, but their decision making skills are typically the exact opposite, and that is why most adults treat them like a child. 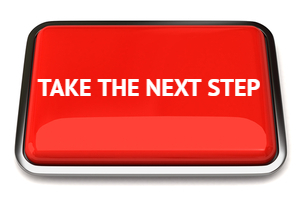 We expect them to initially make choices that are easy as compared to applying thought and effort. The goal for our program is to get them to see the bigger picture and apply their intellect. Emotionally- thanks to science, they are typically all over the emotional spectrum. This is more prominent in boys than girls. We expect their efforts to be based on what they think is cool. The goal for our program is to help them apply intrinsic motivation and realize their true potential. Our goal is to also help them improve their decision making skills with drills that challenge their reaction time. Socially- they care about what their peers think. If something is cool, then they will put more effort into it. We expect them to initially hold back if they are uncomfortable as a defense mechanism. The goal for our program is to help them excel at everything they do, especially in front of a crowd. We cover one of the above skills per class (in order.) During each class we run a warm-up; deliver a mat chat about the skill; run two or three skill-building drills; and then we have them demonstrate the skill to earn their skill-stripe. They must earn all 8 skill-stripes in order to graduate to the next belt level. Once they earn their next belt they will continue to run through all 8 skills earning their skill-stripes with more challenging curriculum as they advance to each rank. 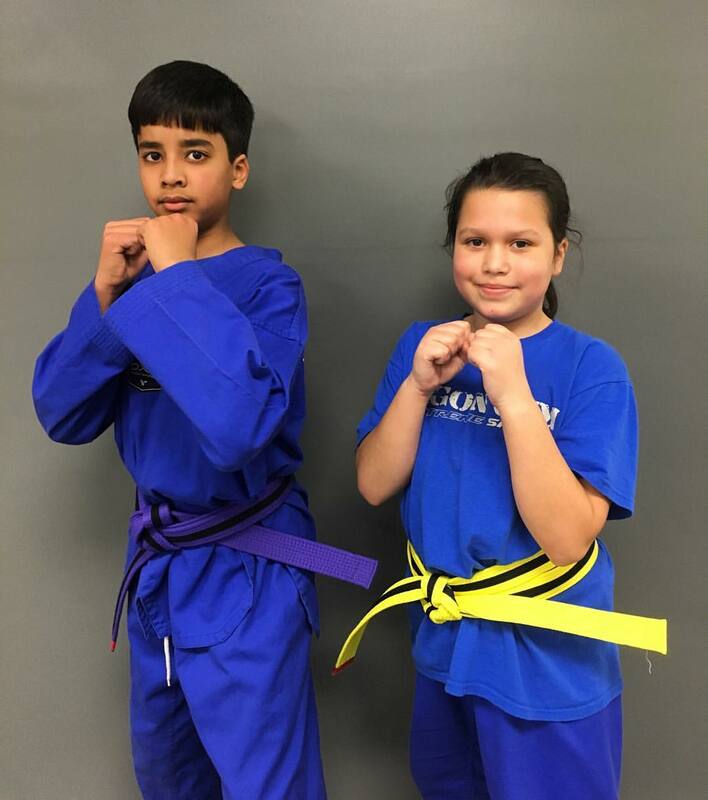 They graduate to the Elite program and begin to work towards their 1st Degree Black Belt after they have successfully completed all 9 belt ranks of the Extreme SKILLZ martial arts program. DEXTERITY - Demonstrating the three stage 1 block’s and three stage 1 strikes from memory. They must show the proper chambers and ending position for all of the moves in order to pass. REACTION - Demonstrating basic single-hand grab escapes. They must apply the proper escape techniques within three seconds, four times in a row in order to pass. VERSATILITY - Performing combinations 1 - 9 of the stage 1 form. They must perform each move with proper chambers and execution in order to pass. MOMENTUM - Demonstrating the three types of jump front kicks. They must show proper technique in each of the kicks, five times in a row in order to pass. PRECISION - Palm strike board break. They must break a board with a palm strike in three shots or less in order to pass. INSTINCT - Performing the first sparring combination on focus mitts. They must hit the mitts with proper technique, speed, and power, three times in a row in order to pass. STRENGTH - Holding each static leg, arm, abdominal, and core exercise. They must not lose technique or else they have to start over. They must hold each exercise for no less than ten seconds in order to pass. VISION - Reciting the definition and meaning behind courage. They must provide the correct answer while speaking confidently in order to pass.